Acne cause havoc on your skin. When they live on skin, it steals the glamour of the skin. And after it recedes from skin, it leaves ugly scars over the skin. While you take treatment for acne or use home remedies, it is important to follow a nutritious diet to fight acne. Most importantly, diet rich in vitamin C helps to treat acne as it is needed for skin rejuvenation. Overall, vitamin is required for human body on daily basic as it is not stored in the body unlike other vitamins. Therefore, it is essential to furnish the body with vitamin C regularly. But here we will discuss the use of vitamin C for acne. Before going into the details of use of vitamin C on acne skin, it would be wise to learn how it helps acne prone skin at the first place. 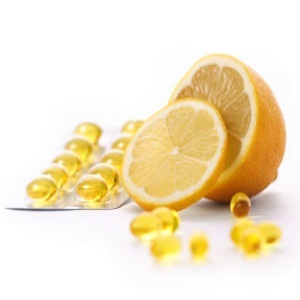 It is a well-known fact that vitamin C acts as a powerful antioxidant in the body. And antioxidant is required to eliminate free radicals from the body otherwise it causes harmful effects on skin from ageing to acne. Acne cause bacterial infection and intake of vitamin C help to reduce redness and inflammation associated with the infection. Furthermore, vitamin C helps in the formation of collagen. Collagen ensures a toned and healthy skin. Collagen also helps to clear off any scars or spots that may be caused due to acne. Vitamin C can be used in several ways for the treatment of acne. You can either increase the intake of foods rich in vitamin C in your diet or take supplements. Another way of using it is topical application on the skin. Whichever way you choose to cure acne, but make sure that do not overdo the treatments. To help you on this, we present here some details on use of vitamin C for acne. If you are opting for supplement to feed on vitamin C, then follow the recommended dose for adults given or else consult your doctor. It is advised to take a dose of 1000mg of vitamin C three times a day for adults. 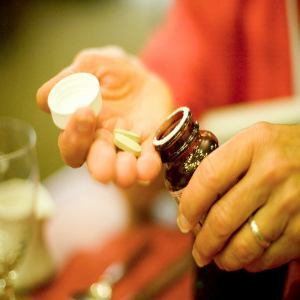 You need to take three dose though out the day because vitamin C is a water soluble vitamin which gets eliminated by the body easily after few hours of taking it. Topical application of vitamin C is one of the best ways to nourish your skin which enhances collagen production. Choose a moisturizing cream that is enriched with vitamin C for application. You can also use concentrated vitamin C serum on skin for removing acne. Add a few drops of serum with your moisturizing cream or sunscreen before applying it on skin. Otherwise make your own customized vitamin C serum at home. You will the following ingredients to prepare vitamin C serum: 4 teaspoons of distilled water, 1 teaspoon of L-ascorbic acid, and 1 tablespoon glycerin. Take a dry sterilized glass bottle and pour L-ascorbic acid into it. Then pour in distilled water and glycerin. Mix them well and store in a cool dark place. This entry was posted in Vitamins Remedy.